Experience design office MMEK’ is the winner of the iF DESIGN AWARD 2019, a world-renowned design prize. MMEK’ received the award for their fully integrated interior design of Europe’s largest pediatric oncology centre Princess Máxima Center. 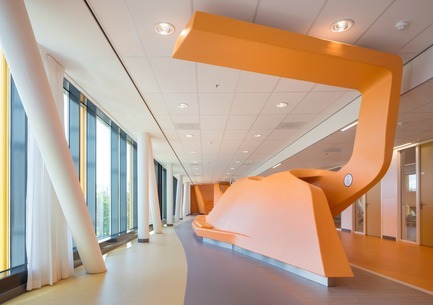 The interior that MMEK’ designed, helps transform the experience of healthcare for children. 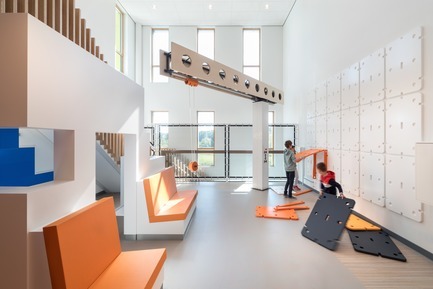 Space for play and interaction, and creating an environment where the child is central, are important themes. 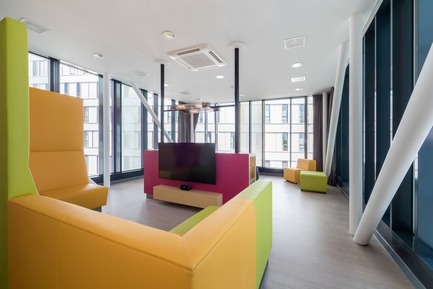 The Princess Máxima Center is a place where young patients can continue developing, despite their illness and treatment. The medical centre commissioned MMEK’ to create the complete interior design for the new hospital building that was yet to be constructed. 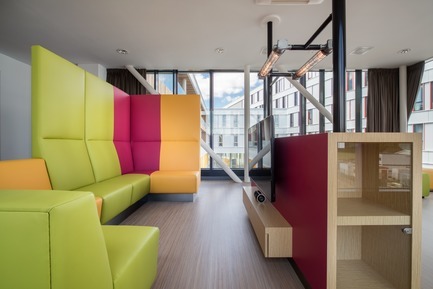 They felt the interior of the building should enhance people’s total experience of the care that will be provided and received at the new centre. 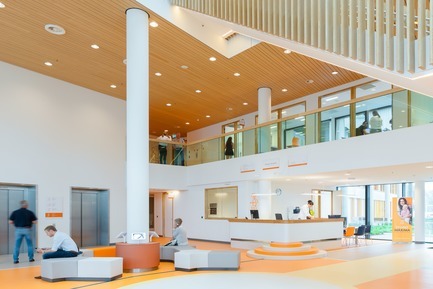 The centre’s brand identity has been incorporated in the design of the entire hospital, including the entrance hall, treatment rooms, patient rooms, offices, and R&D departments. 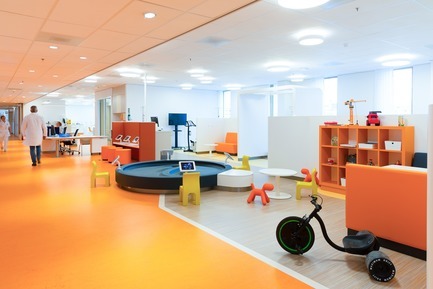 Experience-design firm MMEK’mixed activity spaces for adults and children. They created a science centre where children and their families can learn about the illness they face and the treatment they will undergo. There’s also a special hang out spot for adolescents and a café space in the lobby that is a magnet for visitors and staff alike. 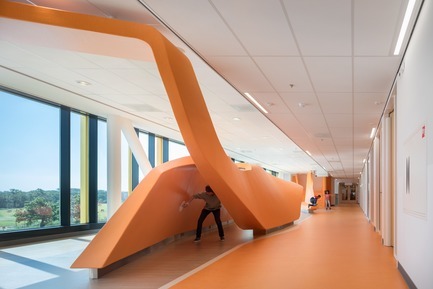 The hallway is designed to double as a place to explore and to stimulate the imagination of visitors. 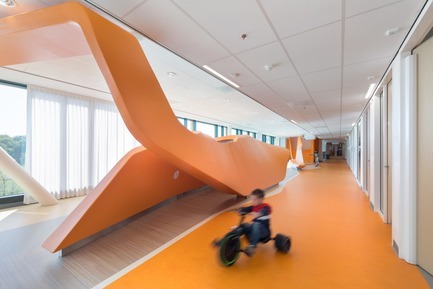 “The big idea was to provide an environment that keeps patients and guests on their toes; that encourages them to move, learn, and develop,” says Erik van Kuijk the creative director at MMEK’. Each year, the world’s oldest independent design company, Hannover-based iF International Forum Design GmbH, organises the iF DESIGN AWARD. The competition was intense: 6,375 entries were submitted from 52 countries, all in the hope of receiving the seal of quality. 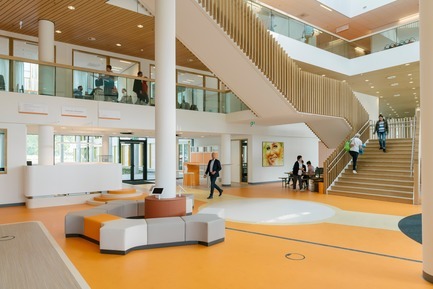 Click here for a video tour through the Princess Máxima Center. 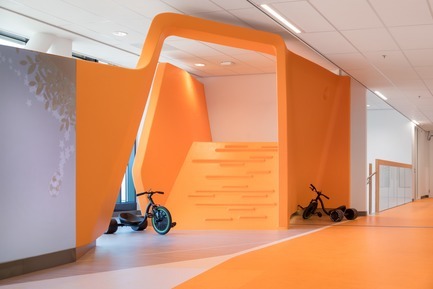 MMEK’ is an experience design office based in the Pastoe Factory in Utrecht, the Netherlands. 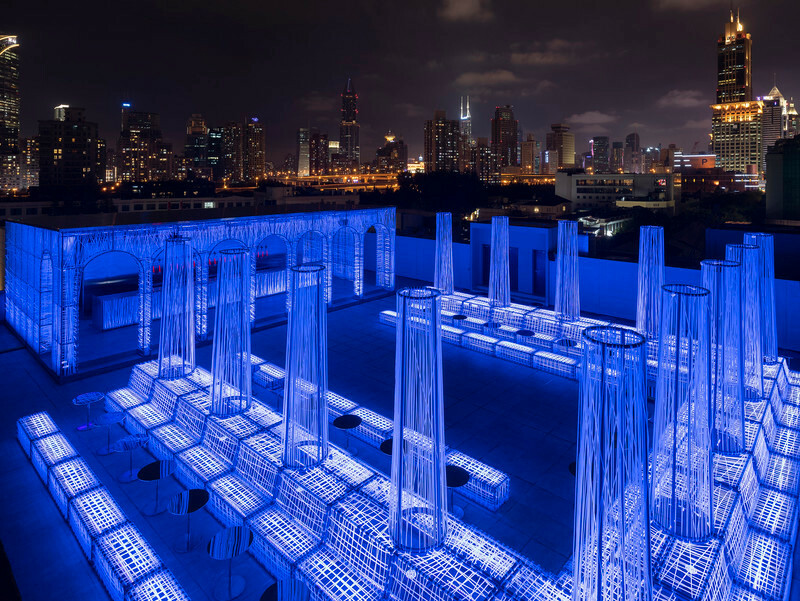 Since 2010 their multidisciplinary and multicultural team creates environments that unite architecture, interior design, and technology which leads to meaningful experiences. 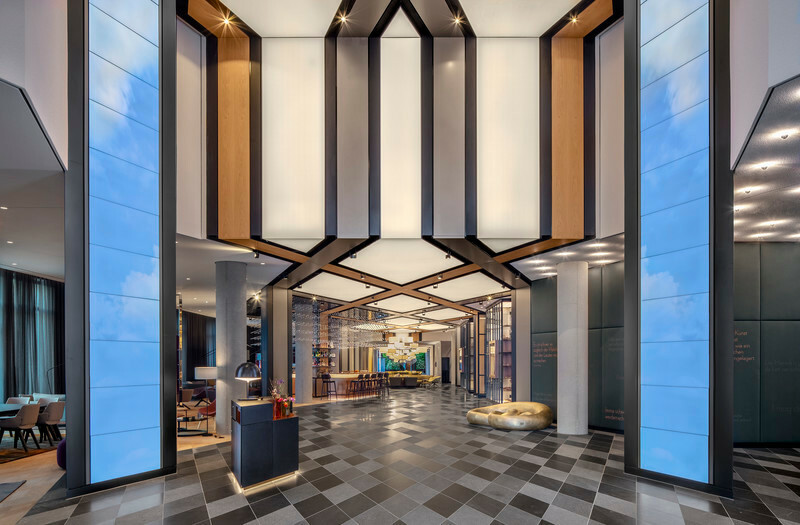 Projects range from designing museum exhibitions and health care centres, to brand activations and concepts for future real estate experiences. For 66 years, the iF DESIGN AWARD has been recognised as an arbiter of quality for exceptional design. 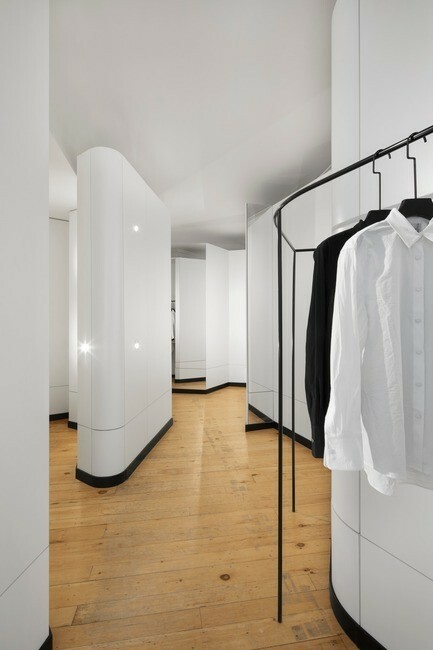 The iF label is renowned worldwide for outstanding design services, and the iF DESIGN AWARD is one of the most important design awards in the world. Submissions are judged within the following disciplines: Product, Packaging, Communication and Service Design/UX, Architecture and Interior Architecture, as well as Professional Concept. All awarded entries are featured on the iF WORLD DESIGN GUIDE, in the iF design app, and are displayed at the iF design exhibition Hamburg. Science & Discovery Centre – Children are always eager to learn. Even when they are seriously ill. Moreover, incentives to learn can distract their attention from their illness and improve their quality of life. 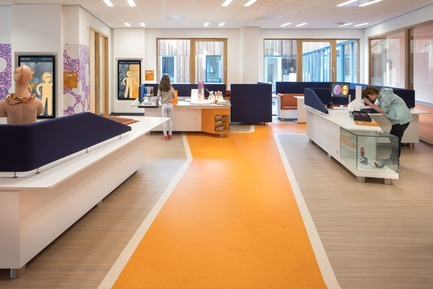 In the Princess Máxima Centre, the Science & Discovery Centre focuses explicitly on that eagerness to learn. 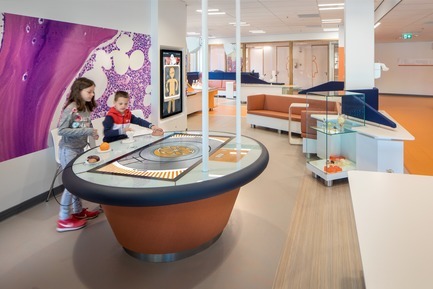 Science & Discovery Centre – It offers children and their parents the space and facilities they need to gain a deeper understanding of cancer and the treatment that the hospital provides through interactive multimedia installations. There is also information available about the unique research taking place inside the Princess Máxima Centre. 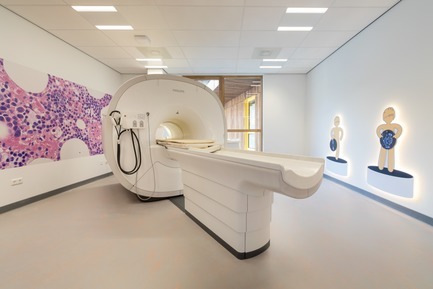 Science & Discovery Centre – There are also two separate practice areas with an MRI scanner and an RT accelerator. Here the children can prepare for their treatment. 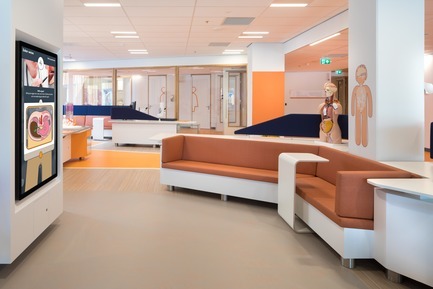 Building site – The Princess Máxima Centre wants to provide a stimulating and safe environment for its patients and their parents, in which normal family life can carry on as smoothly as possible and in which children can continue to develop and play. One of the spaces in which this is expressed is the Building site with its giant crane. Park – Another unique space is the Park. The most striking element is the impressive furniture, which meanders like a landscape through the space and in which there is plenty to discover. 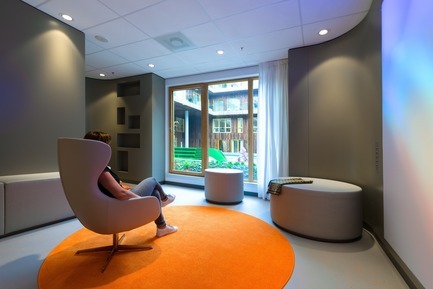 Park – It contains play elements and relaxation corners that stimulate patients to move around or spend time with their relatives. Patients with less physical strength are also stimulated to take more exercise here. 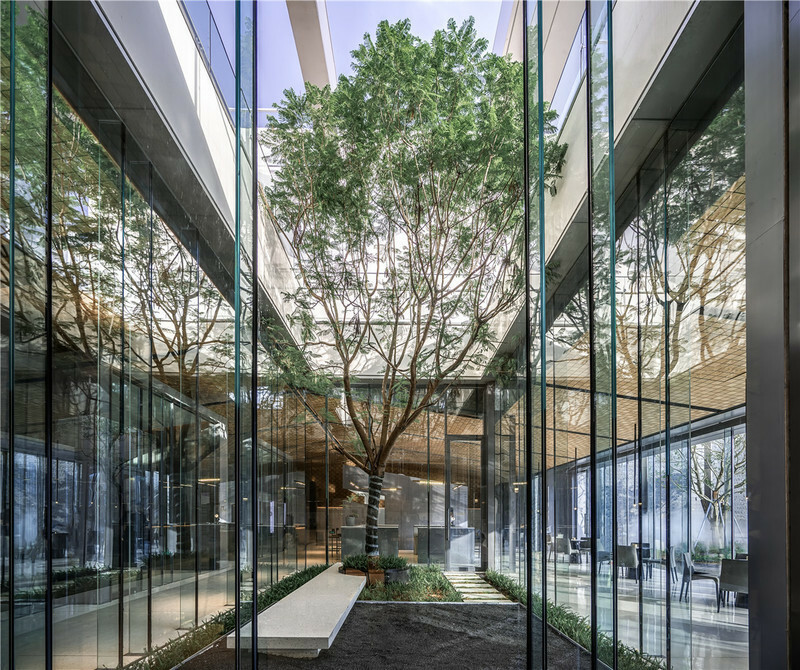 It is an attractive, open space in which patients and relatives can meet while enjoying a beautiful view of the surrounding area. 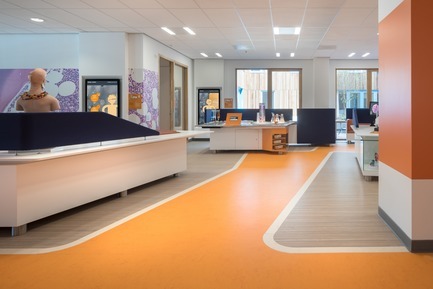 Entrance – A low and open design gives the reception area a friendly and approachable look and feel, emphasising the inviting character of the building. The quiet room – The design of the quiet room is not based on a religious conviction or persuasion. 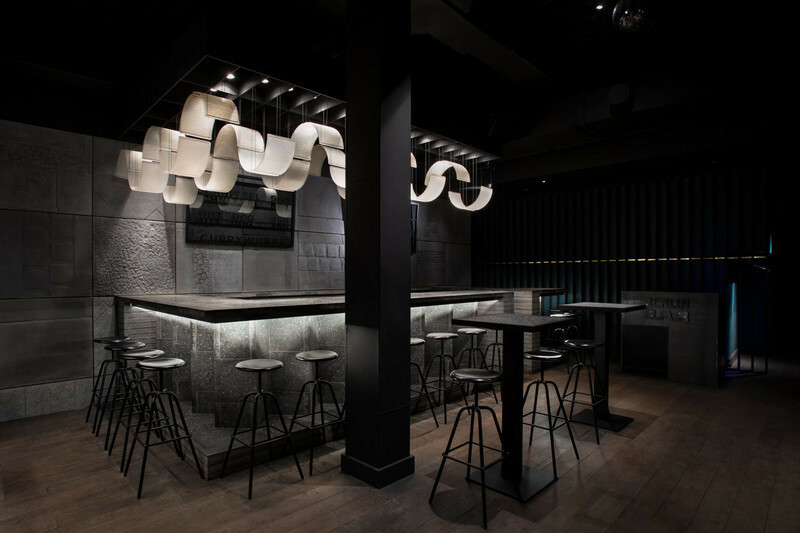 The gradually changing light wall creates a balanced dynamic in the space, so that people can unwind. A muted room that is effectively screened off from external stimuli, giving people the space they need to reflect and perform their own rituals. Daycare – The day-care rooms on the second and third floors are two special areas. 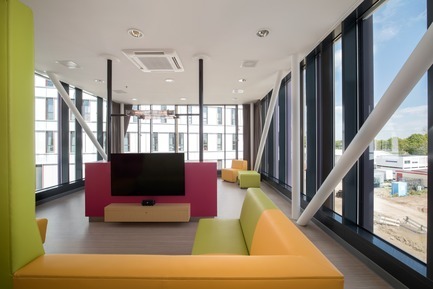 These large open spaces are divided into smaller units that families can retreat to and in which children can do their homework or play. The layout is such that care providers still have a clear overview of the entire space. Hall – The entrance serves as a central reception area for visitors to the Princess Máxima Centre. 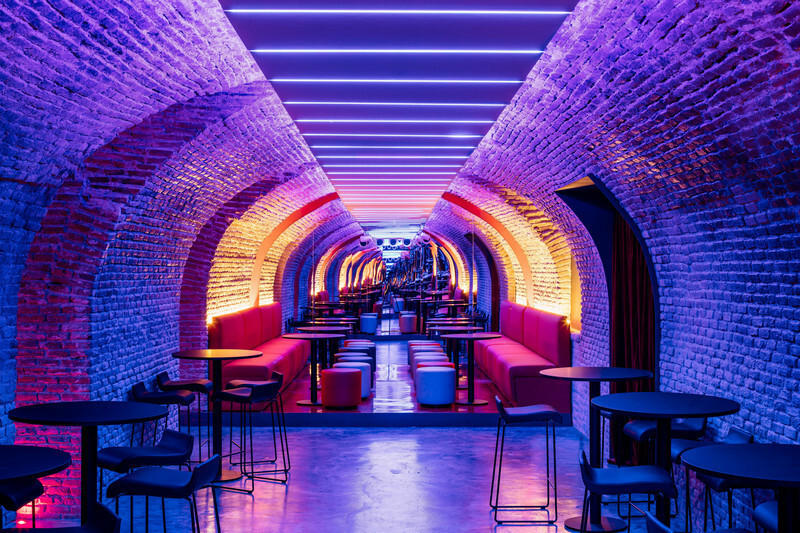 It also has a residential function and includes a coffee corner, space for temporary exhibitions, playground furniture and access to the restaurant.